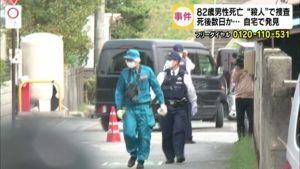 SHIMANE (TR) – Shimane Prefectural Police have arrested a 47-year-old man over the alleged hammer attack of a patient at a hospital in Matsue City last week, reports Sankei Sports (Sept. 11). At around 10:50 a.m. on September 7, Katsumi Morimoto, an employee in the construction industry, entered Matsue Memorial Hospital carrying the 28-centimeter-long hammer in a bag. After entering a room, he struck a 49-year-old male patient in the head, according to the Matsue Police Station. The victim suffered a laceration to the left side of his head, an injury that will require 10 days to heal, police said. After the incident, Morimoto fled the hospital and sped off in a vehicle. 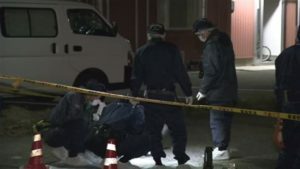 On Tuesday night, the suspect surrendered at a police station in Tottori Prefecture. He is believed to have traveled to Tottori by car. Morimoto has been accused of attempted murder, a charge he denies. “He got scratched in picking up my hammer,” the suspect was quoted in referring to the victim.